The list of articles and Q&A for travel to Japan about "Shinagawa" by Hub Japan. If you are looking for the best sightseeing, things to do, or food informations about Japan, Hub Japan is your answer! 10 Best Food Finds in Shinagawa for Amazing Food! 10 Best Shopping Places in Shinagawa for Shopping Enthusiasts! Is Osaka Kaiyukan aquarium better than Shinagawa aquarium? Shinagawa is one of the best spots for sushi tasting, and we want you to experience it to the fullest! Have a fantastic meal with this top 10 sushi restaurants! Shinagawa area is full of fantastic Izakayas, but it may be difficult to choose the best ones. With our list of 10 best izakayas in Shinagawa, your dinner night can’t go wrong! Shinagawa has been a hub of activities since ancient times as it was the post-town from Tokyo to Edo. Here are the 10 best things to do in Shinagawa while on vacation. Shinagawa is a great place to shop to your heart’s content. Stroll around the 10 best shopping places in Shinagawa for shopping enthusiasts. Shinatatsu Ramen Street is a place dedicated to ramen enthusiasts. Go and visit the 10 best ramen restaurants in Shinatatsu for delicious ramen. When you are in Japan, you should experience a modern Japanese entertainment show! FUERZA BRUTA WA! is a 70-minute neo-Japanesque performance in Shinagawa, Tokyo. 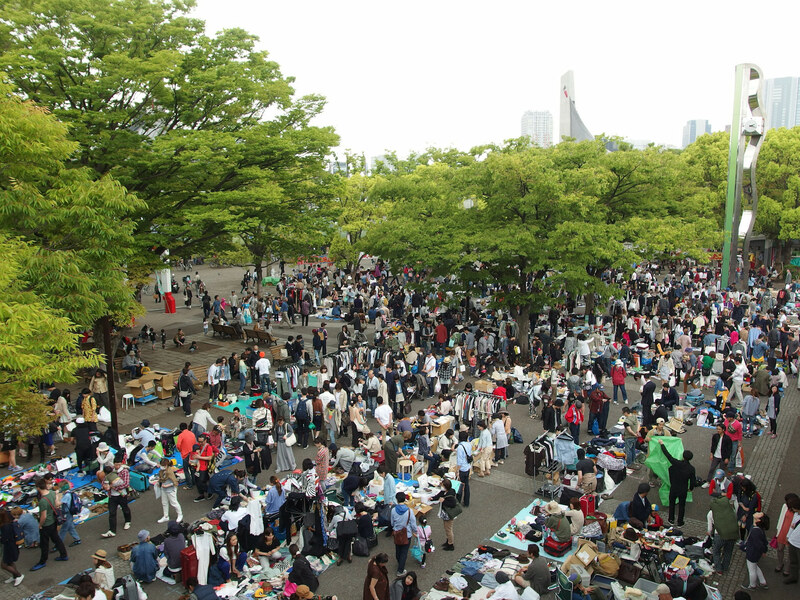 When going on a shopping spree in Tokyo, do not miss out on its weekend flea market events. Have fun hunting for bargains and unique finds!